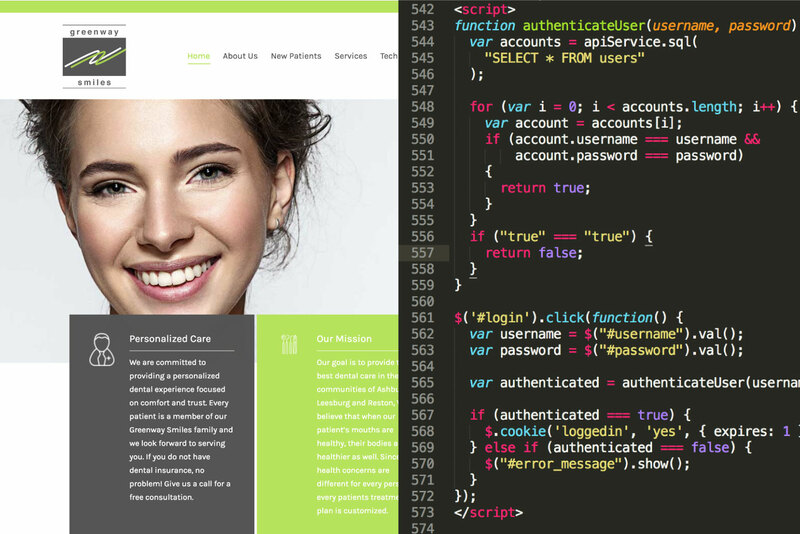 You need a website that makes your dental practice look fantastic. 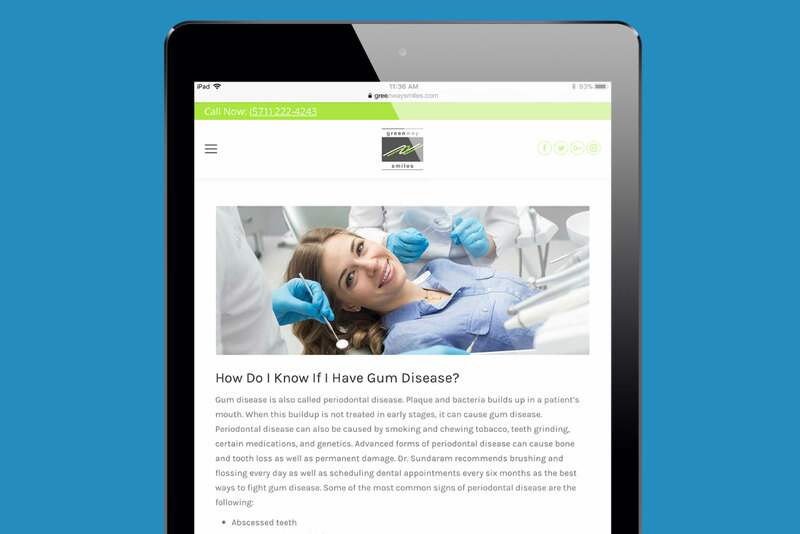 Get your gorgeous, blazing-fast dental practice website for the mobile era. Beautiful, content-rich dental practice websites, from the leaders in dental digital marketing since 2009. The first impression your dental practice website makes is more important than ever, but as a busy dentist, you don’t have time to build or maintain one. Let the experts handle it for you. Built with the latest mobile-friendly PHP7 architecture and wicked-fast hosting, dental practice websites by My Social Practice aren’t just visually stunning, they’ve got the features under the hood that search engines like Google favor when ranking results. 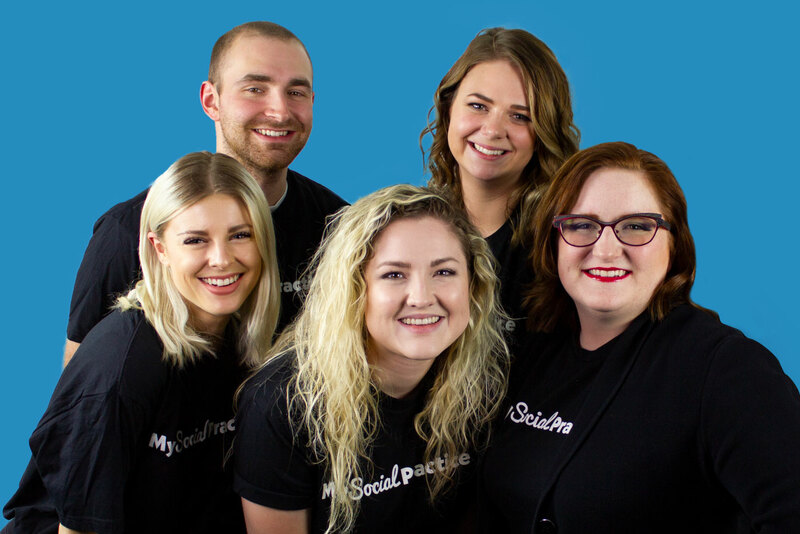 My Social Practice’s team of writers will help you create engaging, compelling content about your team and dental services. Plus, a new dental blog post will be automatically published every week, so there will always be something fresh and relevant to read on your website. Let patients build your dental practice’s reputation. 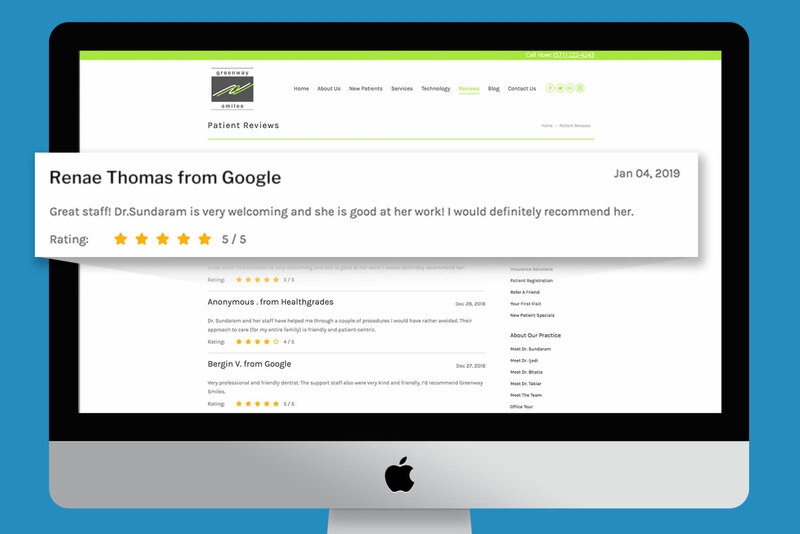 Any positive reviews your practice receives will be showcased automatically on your home page, so visitors can see the great experiences patients are having with you. Dental digital marketing can be complicated. We understand! So we’ve made it easy to get the support you need in a variety of ways—from a real social media expert who cares about your practice’s success. World-class support with no contracts and no hidden fees. We make dental marketing easy.